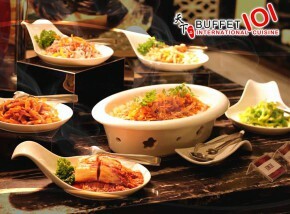 Chinese cuisine is very popular wherever you are in the world. Who can ever resist their dumplings, noodles, among other popular dishes? Luckily, Jiang Nan Hotpot in Makati made it easier to get your hands on authentic Chinese food amidst the busy city. 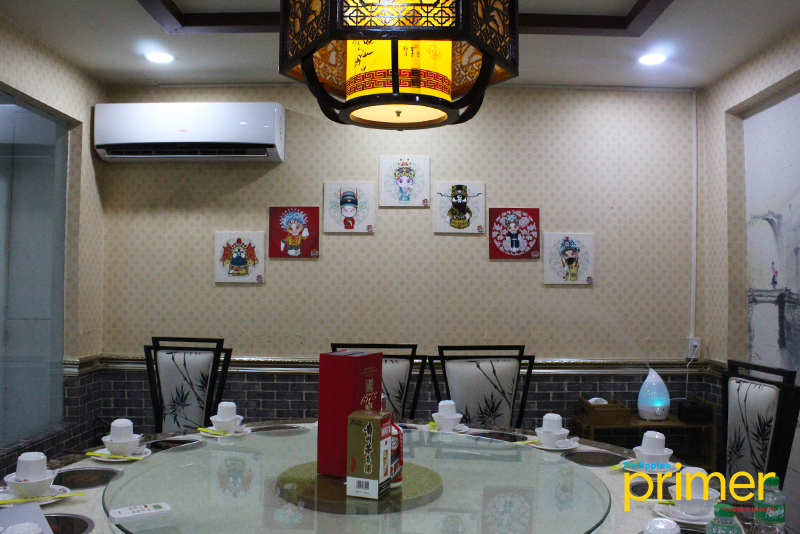 Jiang Nan Hotpot takes pride in providing both exquisite food and comfortable space since August 2018. 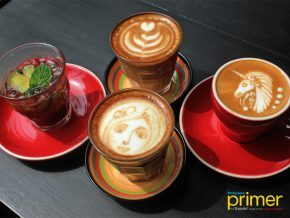 Majority of their customers are Chinese, but they are also visited by other expats and Filipinos. Upon entering, the interior will instantly remind you of Chinatown. And guess what? All their furniture are imported from China, with just the right amount of personal touch made by the Chinese owner. To start the hotpot experience, you have to mix your preferred taste from the sauce area. 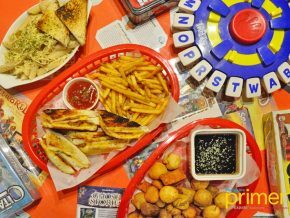 The unlimited sauce costs Php 58 per person, and you have a lot to choose from as they offer chili, sesame, peanut, and more! For this sauce, we used soy sauce as the base, then added chili oil, sesame seeds, sesame sauce, spring onion, and garlic. The sesame sauce, particularly, is one of their popular sauces so we decided to give it a try. It’s just the right amount of sweet and spicy, with a subtle hint of pungent and garlicky. 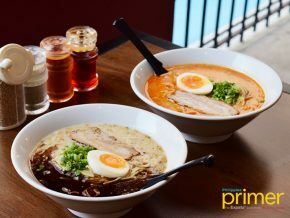 The soup on the left side is very spicy, so it’s not for the faint-hearted; while the one on the right side also gives off a bit of a spicy taste from the ginger, but it’s more prominent in the aftertaste. Another best-seller that you will surely enjoy is their Assorted Balls (Php 288), which is comprised of mini sausage, star ball, squid ball, and crab stick. These balls blend perfectly with the soup, so don’t ever skip this basket! We personally loved how these balls match well with the sauce we prepared above. If you’re more of a plant-based person, sample their Mushroom Combination (Php 398). Surprisingly, the fusion between the mushroom and the soup makes the hotpot experience extra scrumptious. 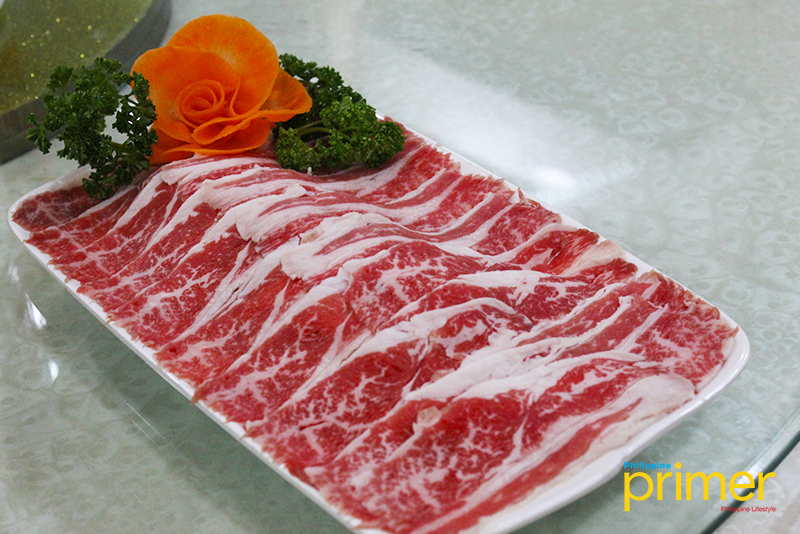 A hotpot wouldn’t be complete without meat, so try their US Beef (Php 358) served in thin but heavy strips. One of the recommended meals for your seafood cravings is the Live Shrimp (Php 358). 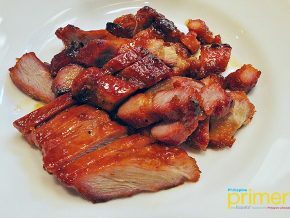 Its firm flesh will surely melt in your mouth, and you can actually trust their fresh offerings. 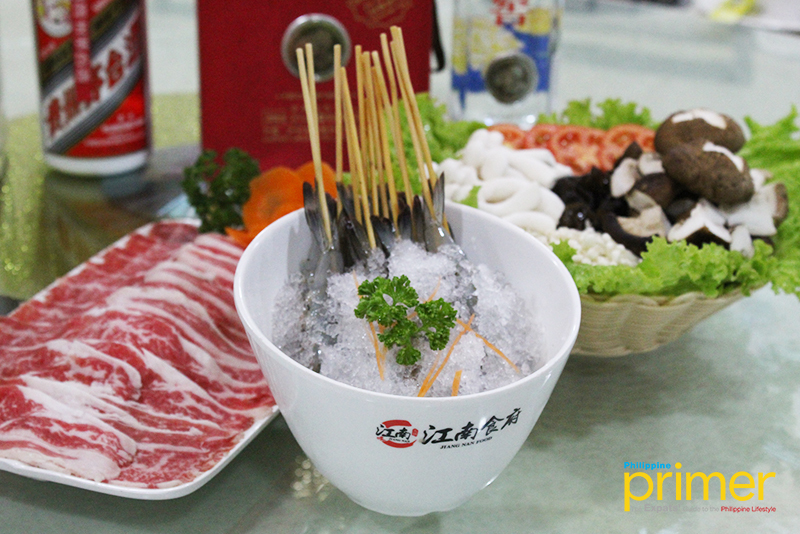 If you want to splurge further with your family or friends, Jiang Nan Hotpot also offers the King Lobster (Php 7,000). Other meals you may try are their Chinese Dumplings (Php 198) available in beef, pork, or three boiled; or their Noodles available in Fans (Php 100), Handmade (Php 198), and Udon (Php 118). For drinks, sample the pitcher of their best-selling Plum Juice (Php 198), or maybe their recently-offered selection of Milk Teas (Php 150+). 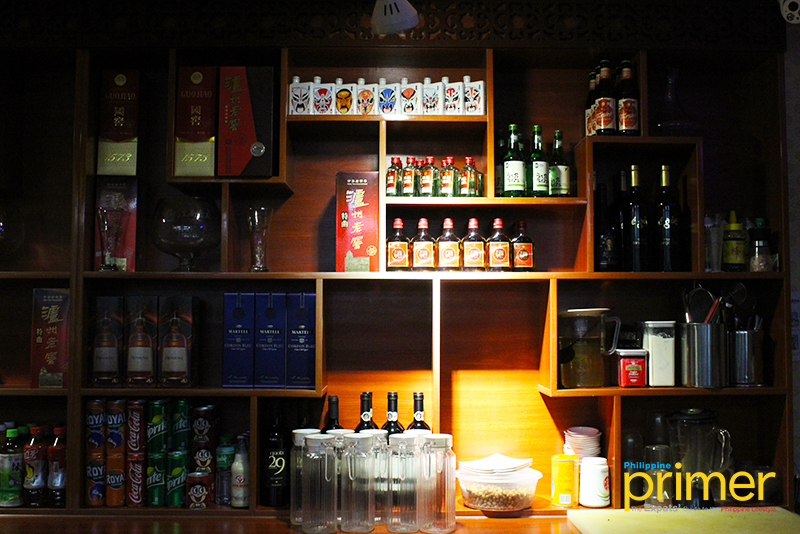 Of course, Jiang Nan Hotpot also offers a variety of both Chinese and local alcohol. The happy albeit busy hour usually starts at 8 p.m. and ends around 3 a.m. 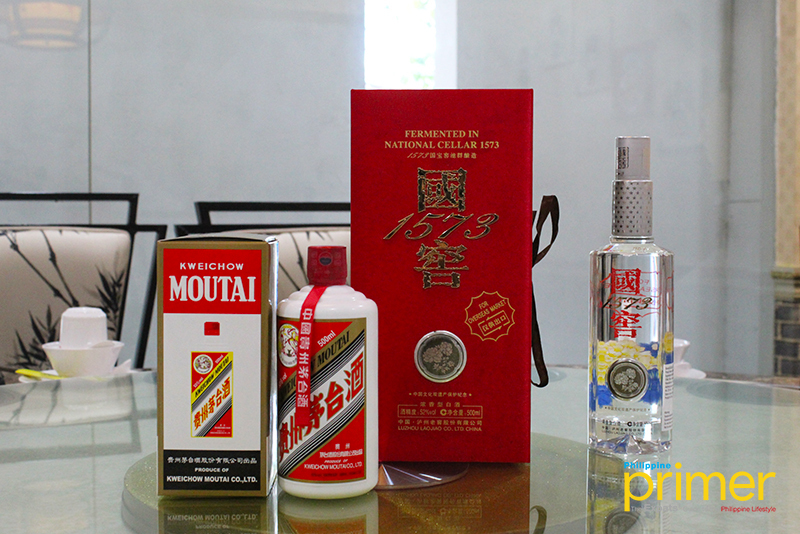 Among their best-selling alcohol is Moutai (Php 13,888), which contains 54% alcohol. For a fancier drink, the 1573/National Cellar (Php 19,888) is a must-try, especially because they are the exclusive distributor in the Philippines. It is composed of 53% alcohol, which will surely give a punch to your stomach. 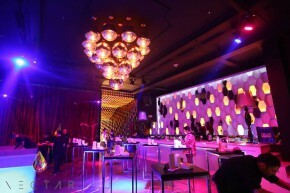 VIP rooms (Php 6,000 / Php 12,000) are also available, in case you want to keep an intimate Friday night out with your friends. 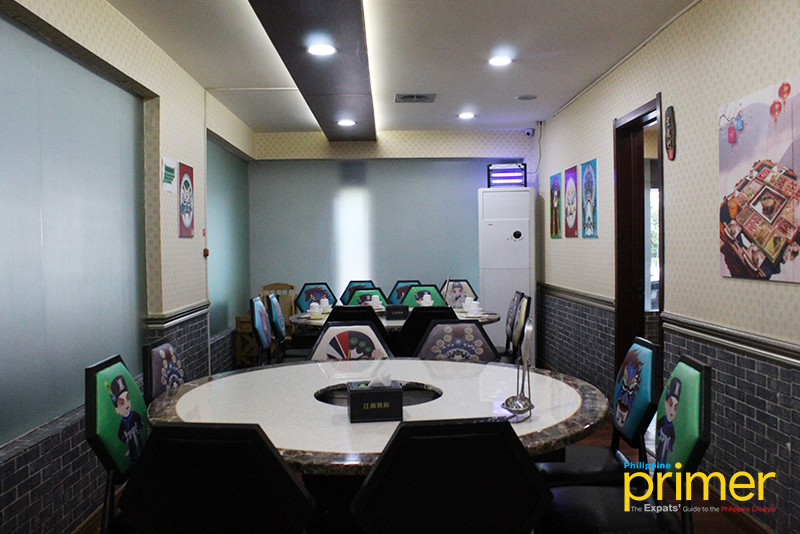 It’s undoubtedly an affordable VIP room that exudes a complete package of privacy and comfort. 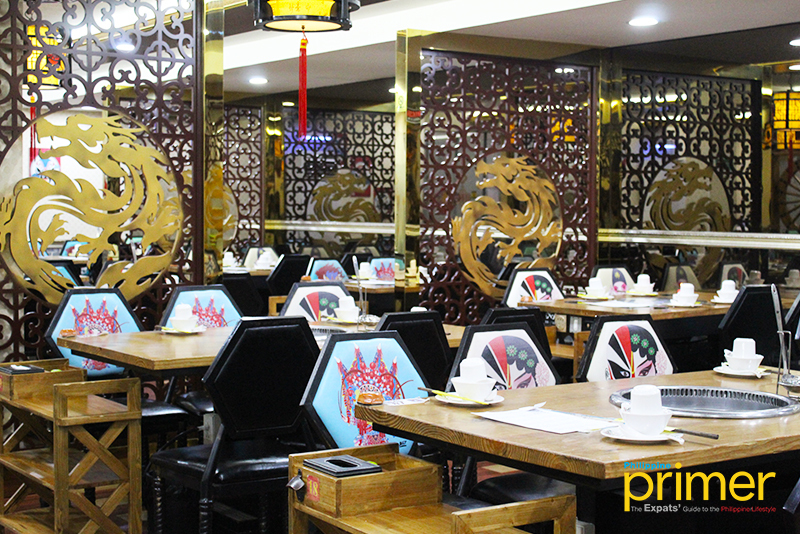 Chinese songs are played all through the day, so you’ll actually feel the unique vibe while dining in the restaurant. 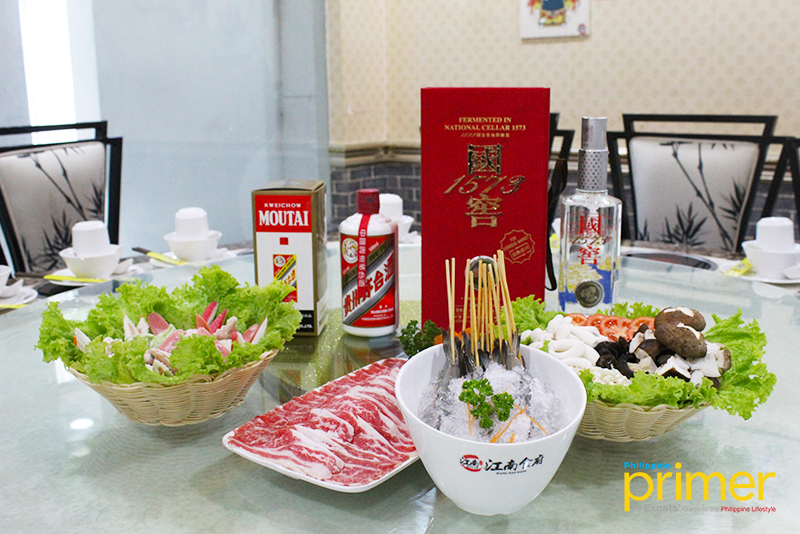 Our favorite part of Jiang Nan Hotpot is definitely their 24/7 operations, including holidays! They also don’t charge customers for VAT and services, and it’s rare to find a restaurant without extra fees. 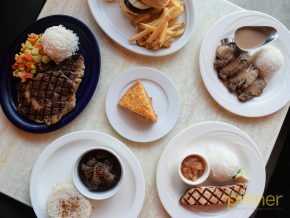 Plus, they’re opening a new branch soon in Pasay City, which is going to be three times bigger than their Makati branch! 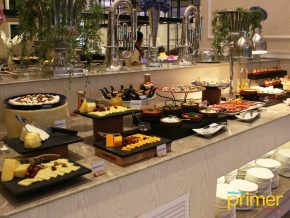 Although you can easily walk in the restaurant, it’s still better if you make a reservation first to ensure a good table.